I don’t know about you, but trends and forecasts on the mobile industry always inspire me. First, they allow me to weigh them against my own considerations, sometimes supporting them and other times making me re-think the status quo. And second, they give a foundation of things to be prepared for and inspire innovations to move ahead of the game. If you agree about the importance of preparation, this article is for you. The current pace of change in consumer behavior and technology demands mobile marketers to think on their feet and adjust their strategy correspondingly. The year of mobile is already behind of us. The user experience has long shifted to mobile, no matter the activity – taking a picture, ordering a pizza, booking your hotel room, or simply playing a game. It’s all concentrated in one place, in your palm, and all it takes is a few taps on the all-mighty smartphone. Aggressive smartphone penetration led the growth in global app downloads. The app market is soaring as consumers migrate more of their lives to mobile. And gaming is the leader both in installs and revenues. 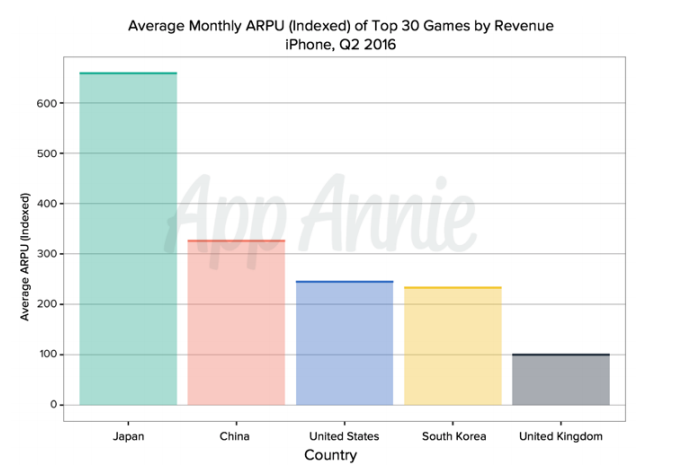 Worldwide mobile games revenue accounted for $40.6 billion in 2016 alone. China has been in mobile reports for a while, with a projection of phenomenal growth as the Chinese mobile app market is maturing. And it’s not only within China itself – over the last couple of years, we’ve seen Chinese companies hit a record in M&A investments in Western firms. Tencent taking over Supercell for $8.6 billion. Chinese consortium buying Playtika for $4.4 billion. YouZu Interactive snapping up Bigpoint for €80 million. What’s interesting is that, while the Chinese government bans its citizens from using U.S. apps while in China (e.g. Snapchat), it encourages domestic companies to go abroad, make investments and establish consumer bases. While this movement is likely to continue, Europeans aren’t just staying and watching this happen. They are heading East. European gaming companies doubled their share in the Chinese mobile game market from 2014 to 2016, and their revenues grew nine times from $28 million in 2014 to $254 million in 2016, according to this Atomico report. This year, according to Newzoo’s Global Games Market Report, China will see mobile gaming revenues reach $14.6 billion. And while it is not easy to penetrate China, Western companies can succeed by considering M&As or finding the right distributors. Localization is also a key to bridge deep-rooted cultural differences. 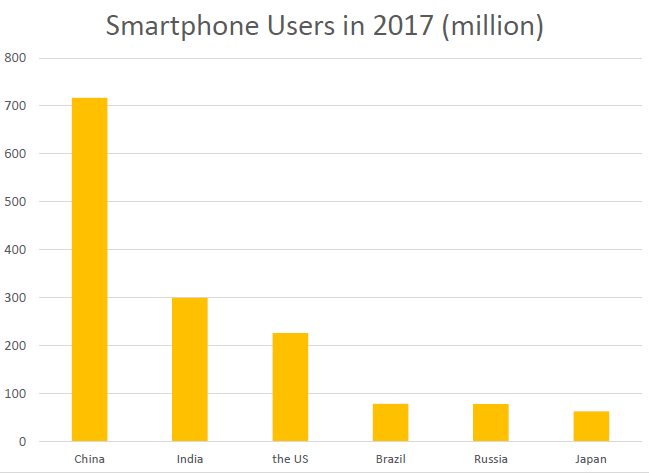 India is still in the early stages of the app market maturity cycle, but it has already overtaken the U.S. as the world’s second biggest smartphone market in 2016. By the end of 2017, the country is projected to have 300M smartphone users while its smartphone penetration is 22.4%. It leaves plenty of room for long-term growth, and mobile marketers shouldn’t underestimate it. 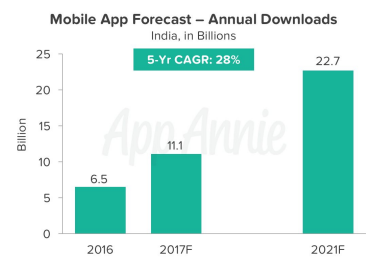 Especially given that India sees an incredible rate of downloads and contributes significant download growth on App Stores with a prediction to approach 23B app downloads in 2021, according to App Annie’s Market Forecast 2016-2021. Although India is 2nd in the list of countries driving downloads growth, unlike China, it’s far from hitting the top 5 list of top revenue engines. App usage still must grow in order for app habits to be fully developed and eventually lead to sustained revenue growth. 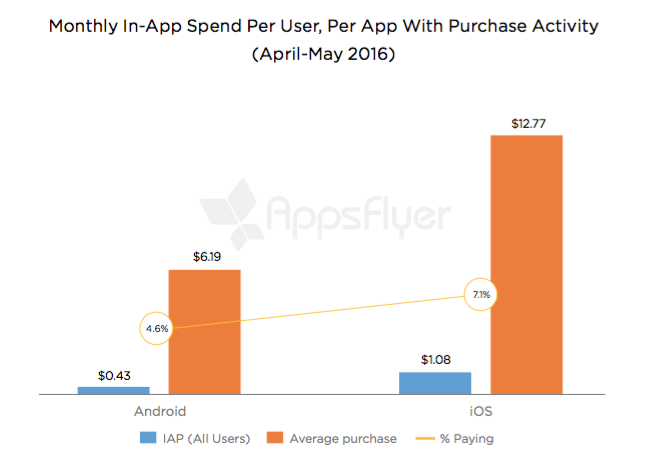 You can’t bet on in-app purchases in your strategy. 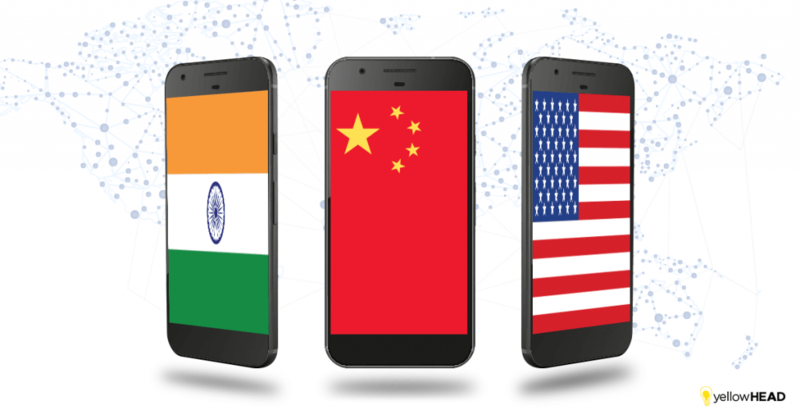 However, you shouldn’t overlook monetization opportunities for those 300M active devices, especially given that India continues to show continuous internet growth, while this is slowing globally, as Mary Meeker reported in her internet trends report. 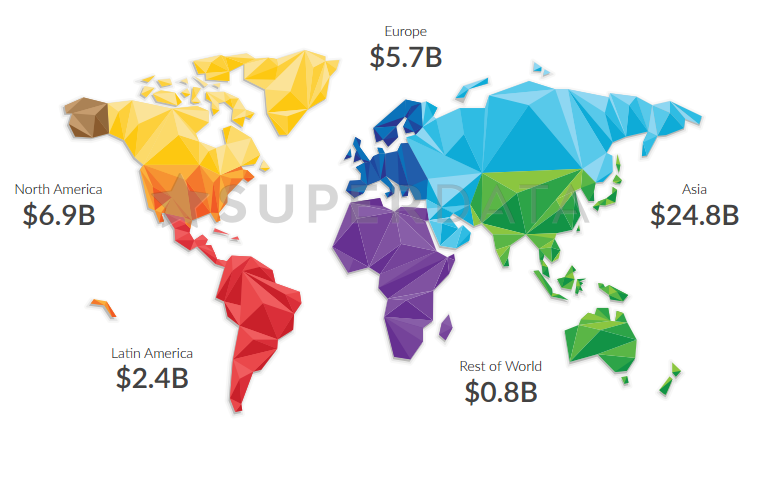 Mobile games market in North America generated $6.9 billion in 2016, according to SuperData and Unity research. Americans now use more apps than ever before and are more engaged with mobile games than with TV or online videos. As consumers continue to spend more time playing on devices, it’s a great opportunity for both marketers and developers to monetize this trend. The U.S. is the only country with more players on iOS than Android. And it’s in the U.S where developers made on average 45% more on a player using iOS than on one using Android, creating an undeniable opportunity. Furthermore, it’s no secret that Apple users spend twice as much on mobile games than Android players do. Watch out for the 2nd part of this article that will cover Japan, Russia, and Brazil.